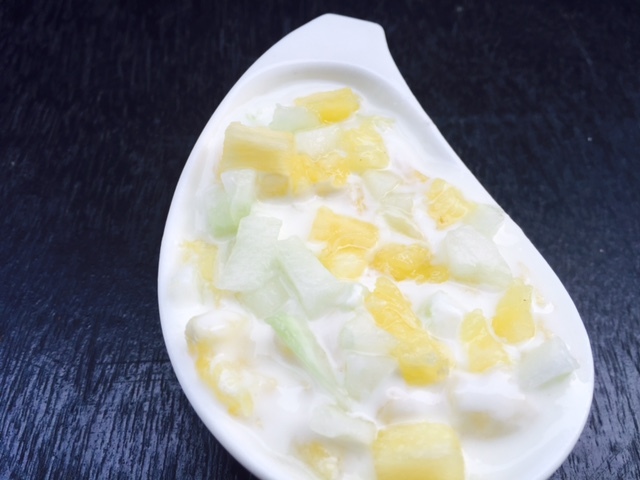 For this month of shhh cooking secrectly challenge, Mayuri is my pair and she challenged me to come up with a dish which features both pineapple and yogurt and what better way can it be other than this delicious salad. 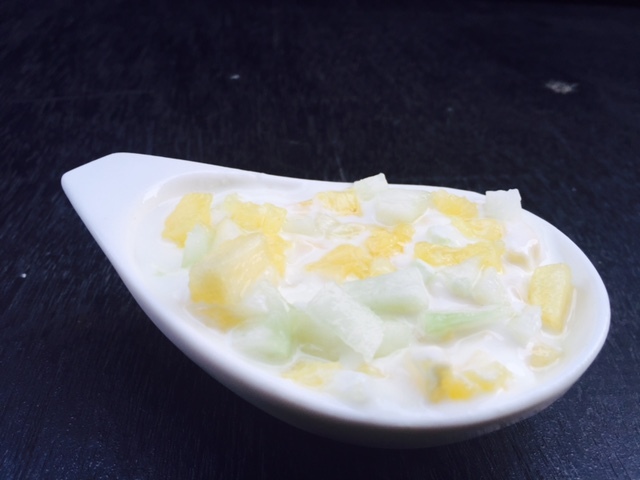 Mix pineapple, cucumber and salt in the mixing bowl. Chill it in the refrigerator till it is ready to be served. Mix the yogurt just before being served. Mix well and serve.